When you are just getting started, learning waist hooping is a challenge. 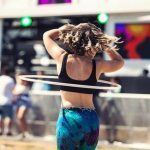 It can be overwhelming to meet this challenge because if you are not used to moving your body in the way that hooping requires you can quickly reach a point of frustration and think you will never get it. 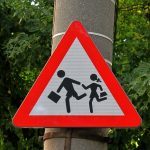 As a foundation skill it is a skill that you will need to master in both directions. What contact points are and how to use them. Looking For a New Hoop? One of our trusted partners, they have a wide selection of hoops to get you started. So you have decided to take up the challenge and get started hooping, in order to learn you will need to make sure you have the right equipment for the job. There are many kinds of hula hoops available, but picking the right one for the job is important to your success. Finding the right kind of hoop means considering, the size, material, weight, and grip of the hoop you will use. 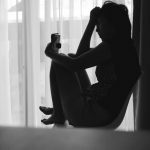 If you to not think about these factors you will be setting yourself up for failure and frustration. 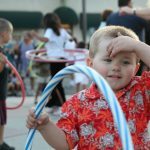 To pick the right kind of hoop, you will want to avoid toy hoops from Walmart, Target and most retailers. A standard adult hoop made from materials common to the hoop world are preferred. Those are polypro, hdpe, and ppe tubing. 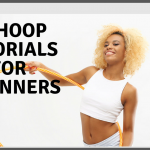 Avoid hoops branded as "fitness hoops" with any added ridges. Avoid hoops with anything inside them such as water or sand as these will make the learning process more difficult. If you need a hoop to get started you can shop at one of our partners, or pick on up from a local hoop vendor. To pick a hoop of the right size, you will want to make sure that you pick a diameter that works for your height and body type. When just starting out bigger is an improvement. The larger circumference will give you time to get used to the movement of the hoop and react to the timing needed to push on contact points while hooping. Generally for adults a hoop that is 38-44 inches will be a good range. The smaller diameters will be a bit faster in rotation, while the bigger diameter will end up giving you a slower spin, letting you pick things up faster. Remember successfully getting a feel for the motion of hooping around your waist should be your primary goal here. Hula hoops with water or sand.